Where the Delaware Bay meets the Atlantic Ocean. Reserve this 1860's Victorian home for your vacation, and park your car. Walk to the Bay Beach, fine dining at the canal restaurants, and shopping and restaurants in downtown Lewes. Your vacation home is located mid-way between the Delaware Bay and the Lewes Rehobeth Canal. It has unequalled history and character. It's located in the path of battle of the war of 1812, when the British War ships were firing from Bay on the town of Lewes, and the towns people were firing back at the ships in the Bay. A cannonball was found on the site in 1984. Additionally, the house is situated next to the formerly, infamous 'Miss Lil's.' A bawdy house employing ladies of the evening. The home (not Miss Lil's) is fully-equipped, eat-in kitchen, dining room for eight, and woodstove for autumn lovers. The three bedrooms are as follows: One bedroom had a brand new queen sized bed and headboard, the other bedroom has a full bed, with attached TV and reading room, and the third bedroom has a bunkbed, full on bottom and single on top, which kids love. Please bring appropriate bed linens, paper products, etc. LEWE'S BEST SECRET......AUTUMN AT THE SHORE. The miracle of migration is in the air, witness the migration of flocks of geese and a vast variety of migratory birds on their journey to distant lands. Home away from home! Peaceful, perfect location! While we have stayed in other places in Lewes, the Yellow Daisy House is our favorite! This was our second time here. The location cannot be beat. Seriously, it is a quick walk to the beach in one direction and to town in the other. The area is very walk/ run/ bike friendly as well. As for the house, it feels like home. There is plenty of room for everyone. 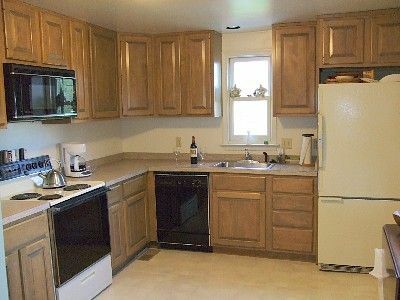 Very clean and omfortable home! This property is in a perfect location on a quiet street. It is a short walk to either the beach in one direction or quaint shops and restaurants in the other. A perfect home for a family or friends to gather to enjoy a relaxing time together. Bike trails, beach, restaurants and shopping are all right there! Lots of space to be together or have some privacy within the home. It was lovely. Summer 2015 marked our ninth consecutive week-long stay at "The Yellow Daisy House." This spacious and comfortable property offers the best Lewes experience; private location surrounded by trees and wetlands, easy walking distance to bay beach and uptown shops and eateries, and accessible biking distance to ocean beaches and trails of Cape Henlopen State Park. We enjoy the lovingly restored old house, filled with eclectic and re-purposed furniture pieces, beautiful hardwood floors, fully-equipped kitchen, and three full baths (including full-size washer and dryer). The master bedroom suite features a sitting room and private access to a second-story deck - perfect spot for bird watching and catching fresh bay breezes! Well-maintained and sparkling clean, we have thoroughly enjoyed our annual week of recreation and hospitality of the gracious homeowner. If you are going to Lewes this is the house for you. Very nicely decorated, plenty of room for bigger family’s with a wonderful location. The only problem each day is… do I turn right and walk to historic Lewes or turn left and walk to the beach. George the owner was very helpful to work with. The home was clean and comfortable. Located near the beach and other activates. The owner was a great guy, who made us welcomed. Where the Delaware Bay meets the Atlantic Ocean. The house is located right between the beach and downtown. Walk in either direction and experience superb swimming, in one direction, or fine dining, clothes , antiques, arts/crafts, toys, ice cream, wine, beer, post office and banks, in the other direction. Take a waking tour and enjoy our excellent museum and learn of the visit of Capt. Kidd, the War of 1812( a cannonball from the War of 1812 was found on the House Site in 1984). and the War of Independence. Nearby Cape Henelopen State Park, a 5000+ acres nature reserve, offers unspoiled non commercial ocean beaches, nearby surf fishing,excellent bike riding, and for the hiking enthusiast the discovery of wild blueberry patches is always a welcome experience.